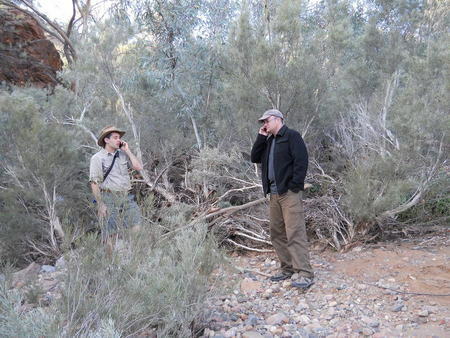 Yesterday I was a guest of the Serval team on an exciting field deployment in the Northern Flinders Ranges. 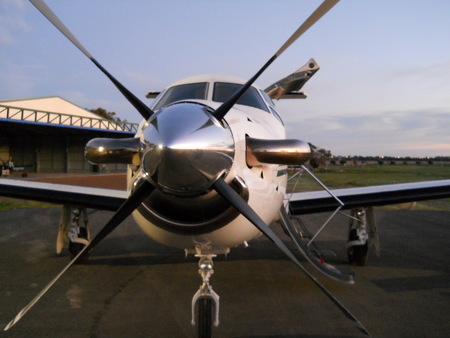 It was a very busy day, starting at 4:30am and flying out at first light from Adelaide 700km north to Arkaroola in a delightful Pilatus PC12. 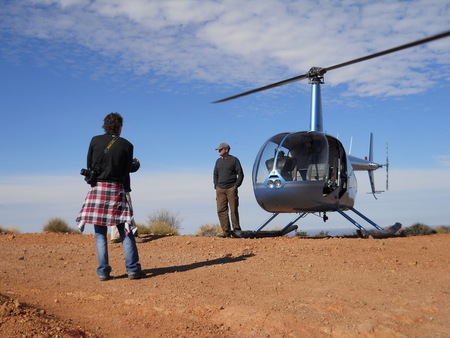 One hour and 20 minutes later we were guests of the Arkaroola Sanctuary who delivered us via bus, 4WD and helicopter to various locations for trials of the Serval technology. 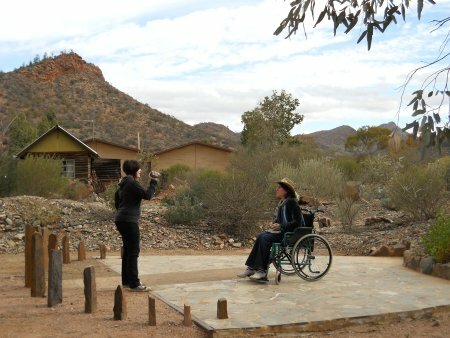 The Arkaroola people were very excited and very helpful. One thing I love about the Village Telco is the good will it generates. Once the project is explained people go out of their way to help you. Projects with social rather than commercial aims are so much more satisfying to work on. 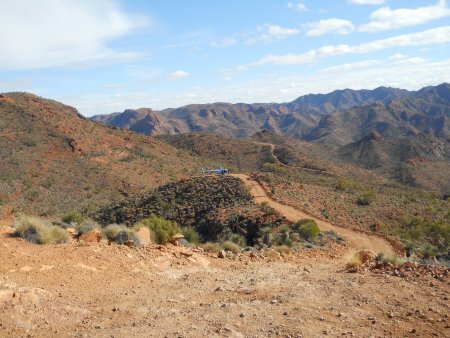 The silence at Arkaroola is amazing. 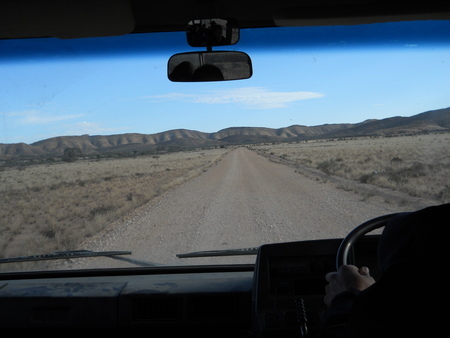 Remote and sparsely populated wilderness. 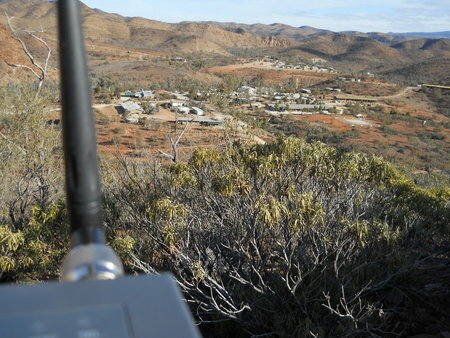 Nice terrain for Wifi too – lots of hills and no trees. 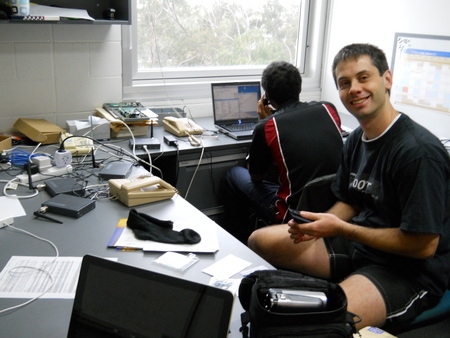 Serval is a system for rapid deployment of phone networks in disaster relief scenarios. 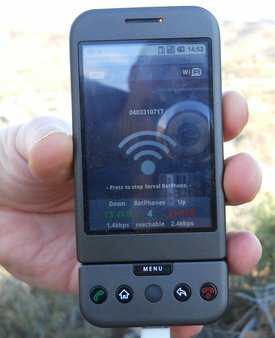 Serval uses Village Telco technology (mesh telephone networks) combined with several new innovations. One is Distributed Numbering Architecture (DNA), a way to assign existing cell phone numbers to your phone on the mesh network. 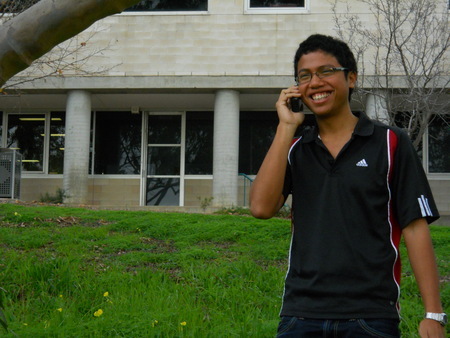 The Serval team has hacked Android mobile phones so they work as mesh telephony devices. This involved porting Batman and Asterisk to Android. Very impressive and very cool. The result (so far) is a cool numbering scheme where you can assign phone numbers in the field without a server and the worlds 2nd mesh telephony devices (and first mobile mesh telephony devices). The “Serval Batphones” integrate seamlessly with Mesh Potatoes. The DNA software can also run on Mesh Potatoes. Future work will involve using OpenBTS to integrate GSM connectivity. 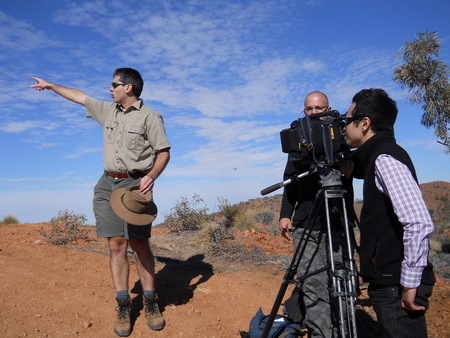 The Serval team is lead by Dr. Paul Gardner-Stephen from Flinders University. Paul, Romana Challans and Dany Rakotopara (a talented French exchange student) have been working crazy hours to get everything coded, integrated, and to organise the amazing 1-day field trip we had yesterday. 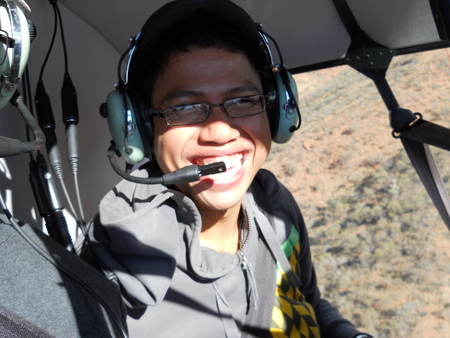 Serval is partially supported by Flinders University (thanks for funding this demo trip) with large chunks of volunteer effort by the Serval team. 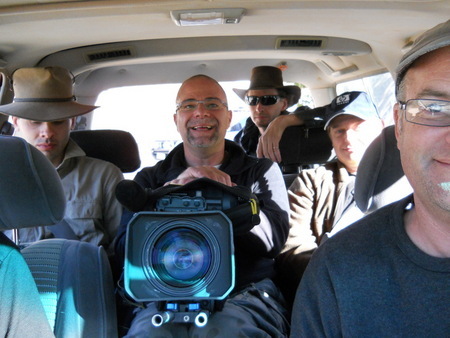 The story was exciting enough to attract a local ABC TV crew to join us. I was really impressed with the way Paul, Romana, and the University media department coordinated the media side. Serval and the Village Telco is a great story. This is a point I often miss. I freely admit I am “too much of an engineer” and don’t appreciate the strong media value of our project and the leverage it can provide. The demos involved three scenarios for rapid deployment of telephone networks; (i) disaster relief, (ii) search and rescue, and (iii) deploying networks in difficult terrain. Wifi and Android penetration in handsets is growing rapidly. This means that in a few years all phones could have mesh telephony built in. Every cell phone could be a “Batphone”. 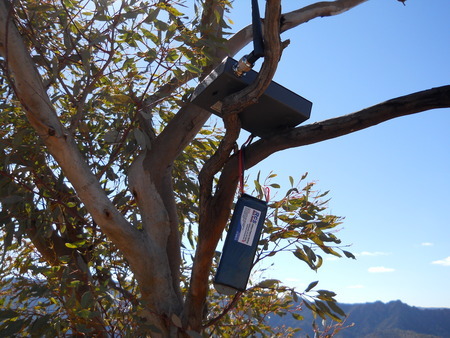 Mesh Potatoes in fixed locations can be deployed quickly in strategic locations to relay the phone calls and blanket areas with a mesh network. You can then use your existing phone handset to make calls on an ad-hoc Wifi mesh network. This is a first world twist on the developing world focus of the Village Telco. In the developing world the Mesh Potato will be the telephony device and it’s low cost is an important factor. However in the first world everyone already has a handset. So it makes sense to use them in a disaster relief scenario. Key points here are high mobile phone handset penetration (everyone carries one) and the low cost of mesh Wifi networks. The demos yesterday used less than $2000 worth of equipment (Android phones from eBay and Mesh Potatoes) to form a phone network covering 1 square km. I find it very satisfying that Village Telco technology can be quickly combined with other technologies like Serval. Try forking GSM and you will see what I mean. Accelerated, unencumbered development using Village Telco tech is possible because it is is fully open and uses unlicensed spectrum. Derivative projects like Serval are just the beginning. 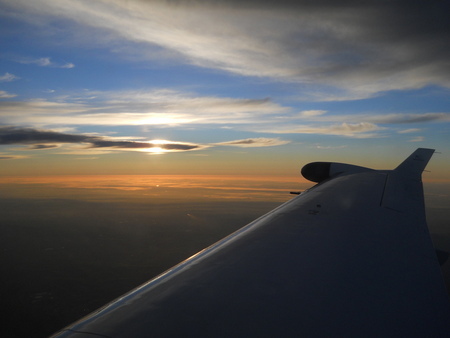 As I flitted over the beautiful arid landscape in a small helicopter the thought “What hath Steve wrought” (apologies to Samuel Morse and Steve Song) flashed through my mind. This entry was posted on Sunday, July 11th, 2010 at 2:47 am and is filed under Village Telco. You can follow any responses to this entry through the RSS 2.0 feed. You can leave a response, or trackback from your own site.